By John J. Metzler - UNITED NATIONS — For nearly two months, large popular demonstrations have rocked Algeria protesting the candidacy of incumbent President Abdelaziz Bouteflika who planned to run for a fifth five-year term in national elections. The protests evoked the so-called Arab Spring in which demonstrations and later armed revolts reverberated from Tunisia to Syria to topple and challenge long entrenched authoritarian rulers. But what appeared to be a brief whiff of democracy in 2011 soon turned into the Arab Winter with widening chaos in Libya, renewed military rule in Egypt, and churning carnage in Syria. After all this North African land already experienced a brutal civil war in the early 1990’s between Islamic fundamentalists and the current ruling regime in which 200,000 died. No matter that president Bouteflika (82), who suffered a stroke in 2013 and has rarely been seen in public since, would be a mere figurehead for le pouvoir (the power) the country’s secretive Deep State, a powerful political/military/business establishment who runs the resource rich North African state as a secular cash cow. 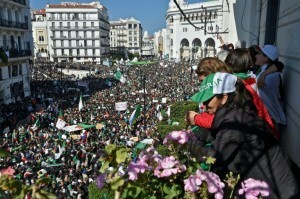 To their credit, the masses of mostly young Algerians who pour into the streets of Algiers have focused more on democratic protest than revolutionary confrontation; the majority of the population of 44 million are young and know only the rule of the current president in power since 1999. Indeed while Bouteflika likely saved the country from a far worse fate, that was a generation ago. But times have changed and le pouvoirhas become a corrupt autocracy. Since independence from France in 1962, the ruling FLN party has served as the authoritarian gatekeeper of Algerian politics; control, patronage and fuzzy Arab socialism embody the once revolutionary movement of Ben Bella who still basks in the aura of the independence struggle which fought France and became a left wing darling of the Third World. Algerians, especially the young who don’t personally remember the Independence war from France in the 1950’s, nor the bloody Islamic conflict in the 1990’s, view the ruling party as deeply corrupt. Protesters of the “Arab Street” wished to oust not only Bouteflika but all the denizens of his entrenched regime. 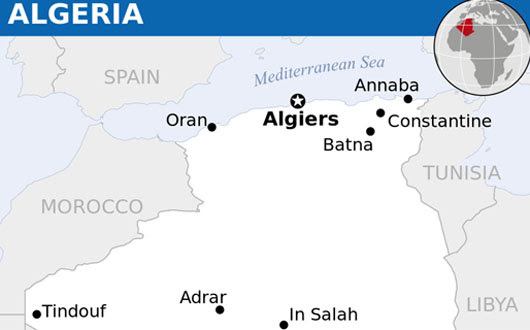 Algeria is strategically placed along the Mediterranean coast, bordering six countries including Tunisia, Libya, Morocco, Mali, Niger, and Mauritania. It forms part of the nexus of people smuggling routes from sub-Saharan Africa to the coast. While lawless Libya poses a far more immediate threat for illegal migrants going to Europe, this could change if Algeria were to face instability or civil conflict. Algeria is four times the size of France, the former colonial power. It’s GDP, largely due to huge Oil and gas deposits creates a $5,000 per capita income. In 2017, Algeria exported $22 billion in oil and $14 billion in natural gas. While Europe remains the major market taking nearly two thirds of production, the USA remains a key importer as well. Yet the crisis of rising expectations, combined with a staggering youth unemployment rate of 29 percent, underscores the challenge for any new government be it from the military ranks, le pouvoir’s hidden hand, or the free choice of the ballot box. Here lies a ticking demographic time bomb. Should Algeria loosen the reigns of its strict but secular society, shall there be a revival of the Islamic fundamentalism which shadowed this land in the 1990’s? Will many young Algerians head for France joining an already large North African community? 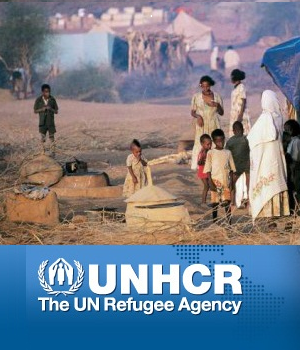 More ominously, shall Algeria become a conduit for migrants from Sub-Saharan Africa thus rising tensions inside Europe? An interim President Abdelkader Bensalah has been named before elections which must be held in three months. Can the people keep their cool and will Le Pouvoir allow the vote? The game is hardly over.